A practical way that says “thank you” to each one of your guests. A favor they will actually use & love you for without all the calories. I love how crisp & clean it looks. Made with organic vegan ingredients. 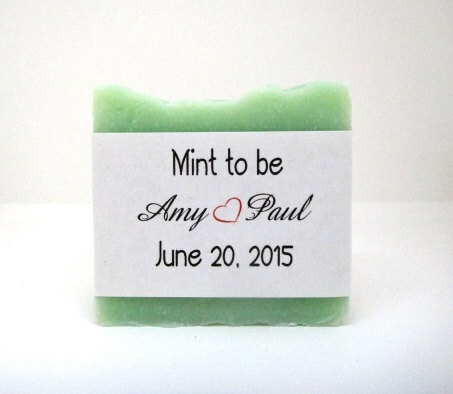 This entry was posted in Favors, natural & organic soap, natural handmade soaps, Organic soaps, vegan soaps and tagged cold process soap, handmade favors, handmade soap, psj boutique, wedding favor, wedding favors.